Dr. Yaacob Ibrahim, Minister for Communications and Information and Minister-in-charge of Cybersecurity. OpenGov file photo. Realising the need to train and nurture cybersecurity talent in line with Singapore’s goal to become a smart and secure nation, the Cyber Security Agency of Singapore (CSA) has recently signed a Memoranda of Understanding (MOU) with Nanyang Polytechnic (NYP) and the Singapore Institute of Technology (SIT). 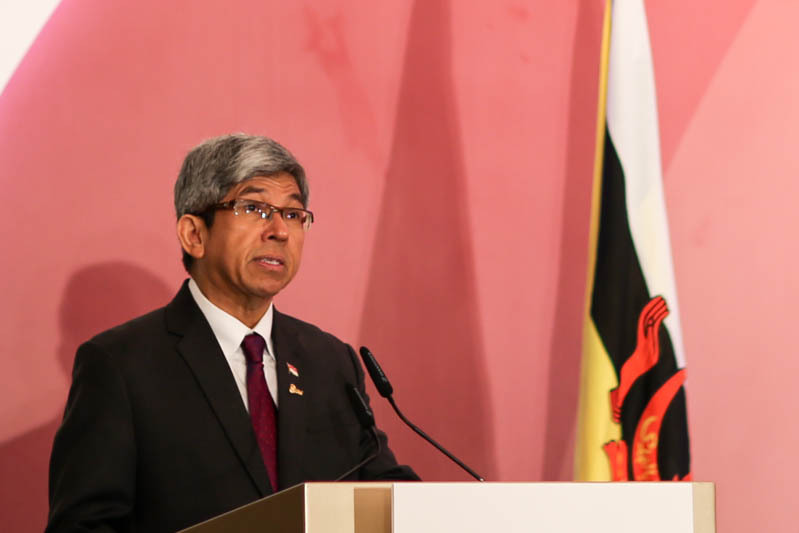 The partnerships were announced by Dr. Yaacob Ibrahim (above), Minister for Communications and Information and Minister-in-charge of Cybersecurity at the National Security Conference 2016 on November 7, 2016. “There are good jobs in cybersecurity, and there are not enough trained people. The shortage is not just in Singapore, but globally; and it is expected to grow. CSA is collaborating with Institutes of Higher Learning to train skilled manpower who will be capable and ready to enter this fast-growing industry. We are pleased to work with both NYP and SIT in their programmes to develop cybersecurity talent to help make Singapore a secure and resilient Smart Nation,” said Mr. David Koh, Chief Executive of CSA. CSA will collaborate with both NYP and SIT to develop cybersecurity curriculum, provide internship opportunities for students to gain relevant exposure and collaborate on research and development projects to engender faster and more market-relevant R&D outcomes. CSA will also work with the Institutes on cybersecurity initiatives that improve the cyber resilience of businesses and individuals in Singapore. CSA’s partnership with NYP will see the introduction of a Cyber Security Operations Co-operative Programme that aims to nurture and prepare students to fill critical cybersecurity roles in both the public and private sectors. Under this programme, both parties will co-develop relevant modules in Cyber Security Operations. Students will also gain practical training experiences through meaningful internships with CSA. Under the MOU with SIT, the first collaborative initiative will be the Integrated Work Study Degree (IWSP) Programme. The 12-month internship programme will enable the students to understand the challenges faced in the current fast changing economy, and develop skills of adaptability, creativity and innovation, while adding value to the workplace.